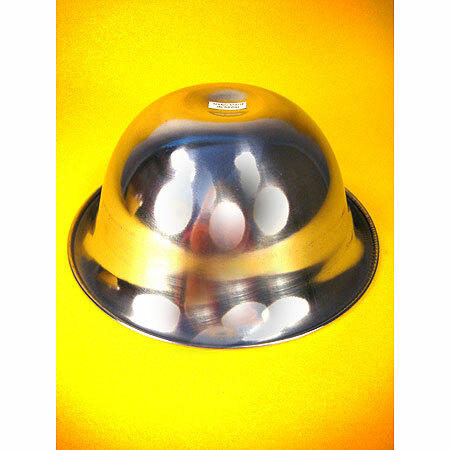 This product is a set (includes 7 bowls). These bowls are not simply bowls are also powerful reminders of the seven aspect of Buddha as well as the ways we request his guidance through prayer, confession, prostrating ourselves and celebrating the positive qualities of all things. What we place in the bowls is equally important as each offering has meaning. Traditionally, the offerings were: cool water to drink, symbolizing the eight merits and auspiciousness; pure water, symbolizing purity of body; flowers or plants for the pleasure of Buddha's eyes, symbolizing generosity; incense, symbolizing discipline; a butter lamp, symbolizing wisdom because ignorance is darkness and wisdom is brightness; a fragrance, symbolizing devotion; and fruits or sweets, which express gratitude and can lead to the trance state of samadhi. Gratitude is such a powerful thing: it opens doors to joy, love, and abundance. This simple traditional practice is a beautiful and inspiring way to embody gratitude. 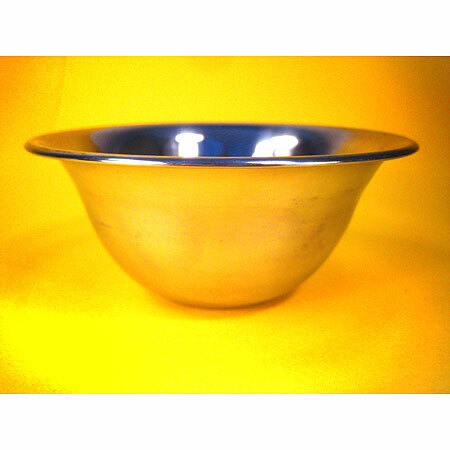 These simple stainless steel offering bowls are plain, lightweight, and without adornment. These bowls are made in Nepal and come in three sizes. 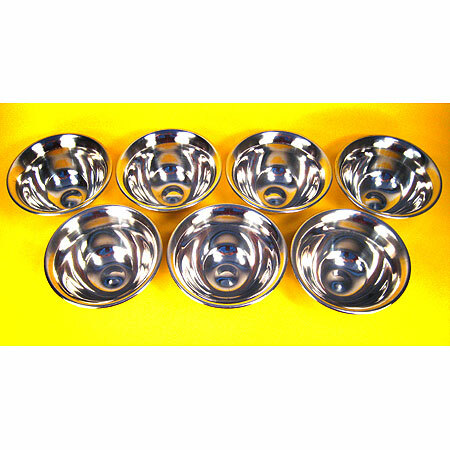 A set comes with seven (7) bowls. Small: approx. 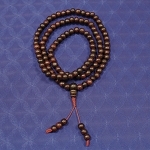 2.8 inches (7.3 cm) in diameter. Medium:approx. 3.5 inches (9 cm) in diameter. Large: approx. 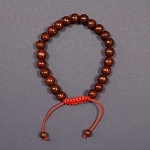 3.8 inches (9.7 cm) in diameter.